Knocked-out teeth, a mouth wound, or a cracked tooth are all reasons to seek immediate treatment from an emergency dentist. 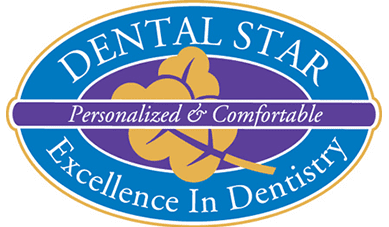 If you live in or near Englishtown, New Jersey, visit Dental Star New Jersey. Dr. Vladimir Potepalov and the dental experts are here to take care of the emergency dental needs of everyone in your family. Call the office nearest you at the first sign of a dental emergency. You can also use the convenient online booking system to schedule your appointment. Emergency dentists treat oral injuries and pain that need to be fixed or addressed immediately. Emergency dental situations usually involve saving knocked-out or broken teeth. Making it to Dental Star New Jersey within half an hour of your mouth or tooth injury gives you the best chance to save your tooth. If you chip a tooth, but it doesn’t appear as if you may lose the tooth entirely, it may not be a dental emergency. Even so, it’s a good idea to contact one of the experienced dentists at Dental Star New Jersey so they can tell you how to handle your tooth until you can get to the office. Quick action is imperative for a dental emergency like a knocked-out tooth. Without immediate dental care, there's a good chance you'll lose the tooth for good. Do your best to rinse your mouth and the damaged tooth. Rinse your mouth and tooth with warm water, being careful not to touch the tooth by the roots. Hold the tooth by the crown (the smooth white top part) as you rinse it. If it's possible, place the tooth back in your mouth and into the gum where it was knocked out. Bite down softly on a gauze pad to hold the tooth in place until you can get to Dental Star New Jersey. Call the office right away. Or, have a family member or friend call to let our staff know you're on your way. If the tooth cannot go back into the empty socket, hold the tooth in your mouth next to your cheek or keep it in a glass of milk. The moisture will help prevent the roots from drying out. When you're facing a dental emergency, call Dental Star New Jersey for expert assistance.